Captain Fawcett Barberism Beard Oil 10ml. 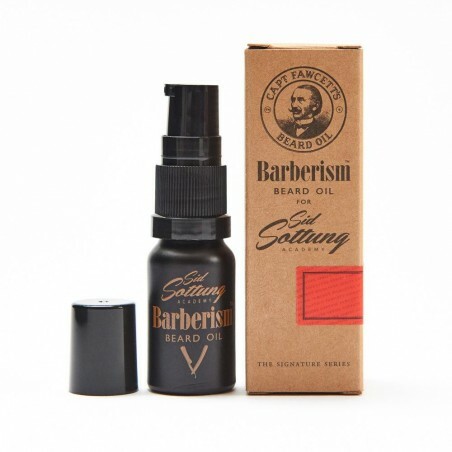 Captain Fawcett’s Barberism collaboration with Sid Sottung has produced an outstanding Beard Oil with a timeless & yet refreshingly elegant scent that boasts top notes of Lime & Orange, mid notes of Rose & Galbanum along with the earthier base notes of Cedarwood, Patchouli & Musk. In truth a simply delightful alchemic concoction then fused with Sweet Almond, Jojoba & Vitamin E carrier oils. Instructions: Dispense a few drops into the palm of your hand & rub together. 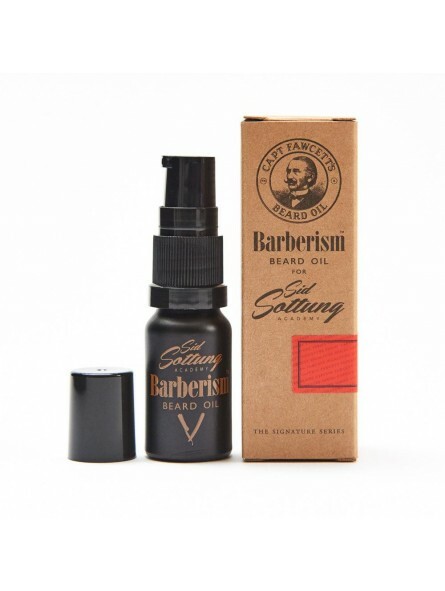 Smooth the oil thoroughly into your beard & gently comb through for a Sid Sottung finish. Handmade in small batches by the Captain’s master blender, supplied in a glass bottle with a pump to facilitate accurate dispensing.